Yeats' Forgotten Dancers at the Oonagh Young Gallery. The Many Bodies of Contemporary Dance at Dance House. Gradcam symposium with Dublin Dance Festival 2010. Read my interview with Oscar-nominee Kathleen O'Rourke, aka Granny O'Grimm here. Listen to my experimental podcast from Sweny's Chemist here. Read my programme note for CoisCeim Dance Theatre's "Faun" and "As You Are" here. Read my review of "The People Have Never Stopped Dancing" in The Drama Review here. Listen to my interview with Peter Prendergast of Monster Truck Gallery here. Read my programme note for artist Marty Kelly in his Art London Catalogue here. IN PROGRESS! Listen to part one of Irish Monsoon Wedding here. Welcome to my rather eclectic website, which ranges from Contemporary Dance, and Academia, to Radio Documentaries, Theatre Projects, Travel, Cirque du Soleil, Archival Arts salvage, and tiny old airplanes - life, in other words. I'm a writer/journalist, broadcaster, developer of ideas (that covers a multitude), and producer of cultural events. I also direct theatre whenever I get the opportunity, and have lectured extensively in Drama. My BAI-funded, hour-long radio documentary “Doreen – Telling the Dancer from the Dance” is being broadcast on RTE Lyric FM on Friday, November 4th, 2011 at 7pm, in the Lyric Feature slot. (I’ve also just finished another radio documentary entitled “Irish Monsoon Wedding” – coming soon to a radio near you). My ongoing research is all about re-inscribing the body into Irish cultural history. At the NUIG Moore Institute’s “Yeats and the Arts” Conference in August 2011 I contributed a paper on “Late WB Yeats’s New Bodily Visions”. I was 2009/2010 Visiting Fellow in Performance and Dance at Gradcam, Dublin, where I curated the "Many Bodies of Contemporary Dance" symposium at Dance House on May 19th as part of Dublin Dance Festival 2010. Listen to the podcast here. Just around the corner two days later, I co-curated "Yeats's Forgotten Dancers" at the Oonagh Young Gallery. My curiosity and wanderlust have taken me from student-days running a youth hostel in Nice, France, to a privileged sojourn with Pina Bausch's Tanztheater Wuppertal (while reading for my PhD on the inventor of Dance Theatre at the University of Cologne), to working as Artistic Talent Scout with Cirque du Soleil. Read my Irish TImes Feature about life at Cirque du Soleil's Montreal HQ here. In 2008 I produced, wrote, and narrated my first BCI-funded radio documentary "Ogoki: Call of the Wild", for Newstalk. Click here for audioslideshow. 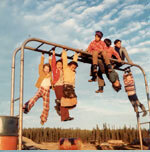 It tells the story of a return journey to Ogoki Post, North Ontario, the isolated Ojibway reservation where the Mulrooney family (yes, related), from Limerick were privileged to live for seven years in the 1970's and '80's. I have contributed interviews and features to many publications, including Irish Director Magazine, The Irish Times, The Sunday Business Post, The Sunday Tribune, Magill Magazine, IMAGE Magazine, Dance Magazine (USA), Abroad Magazine, IT Magazine, and more. My work has been syndicated. An innovator in cross-media, I was RTE Dance on the Box correspondent for the 2008 Dublin Dance Festival. I have worked with the Irish Arts Council as Dance Consultant to The Touring Experiment, and panelist for Arts Council New Work Awards. 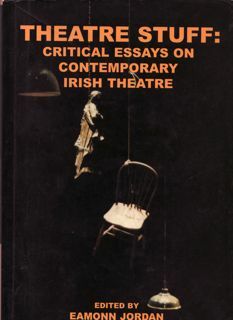 I contributed the programme note for CoisCeim Dance Theatre's 2010 double bill "Faun" and "As You Are" and their 2008 Dublin Theatre Festival opening show "Dodgems"; for Fabulous Beast Dance Theatre's 2007 Barbican Theatre co-production "The Story of the Bull", and for Jonathan Miller's production of "As You Like It" at Dublin's Gate Theatre. In 2009 I also contributed an Art London 2009 catalogue note for visual artist Marty Kelly. 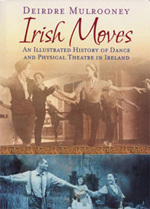 Previously, my five-part RTE radio series "Nice Moves" [click to listen the series), on the history of dance and physical theatre in Ireland, was the basis for my "ground-breaking and provocative" (Hot Press) book "Irish Moves", published by The Liffey Press in 2006. Click here to order a copy now, and/or pop into Sweny's Chemist on Lincoln Place where the book is for sale. Finding Doreen Cuthbert, Abbey School of Ballet original, through a letter to the Irish Times, led to contributing the foreword to Doreen's husband Percy Lovegrove's fascinating memoir "An Auld Cockle Picker", and to speaking at its Howth Yacht Club launch about his great late wife. You can read Doreen's amazing and historic story in "Irish Moves". It was this love of storytelling that got me selected to participate in the NYU/UCD Scriptwriting summer school, and the Lincoln Center Theatre's 'Director's Lab' (NYC). So far, among other shows, I have co-directed "ShesaWhore", based on an idea by Angela Carter at Project Cube (2001), and co-curated South Africa Week at the Helix (2002). 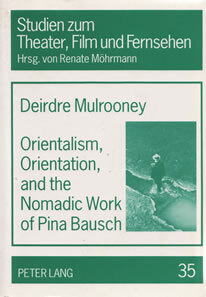 In November 2006 I was Curator of Events for CoisCeim Dance Theatre's "Threads" series of events, exploring the dance connections between Germany and Ireland (a largely unknown subject I brought to public attention). year in Cologne (on DAAD annual scholarship), where I attended University of Cologne under the supervision of Tanztheater expert Dr. Hedwig Mueller. 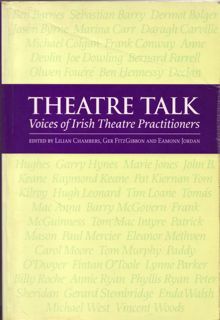 I have contributed to several books on Irish theatre, as well as international academic journals, including MIT's The Drama Review, Winter 2009. As a travel-journalist and photographer, I have been lucky enough to visit and report on many countries, including Ethiopia (with Irish Aid), Rwanda (with NGO Christian Blind Mission), South Africa, Zambia, Zimbabwe, India, Vietnam, Singapore, Mauritius, North America, The Middle East, and throughout Europe. 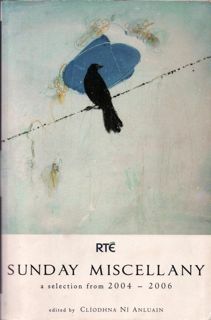 I have also contributed to RTE Radio's Today PK, Sunday Miscellany, The Eleventh Hour, Rattlebag, and Lyric FM's Artszone. After the launch of "Irish Moves" at Dublin's Abbey Theatre in April 2006 (by Fintan O'Toole), I received the Department of Foreign Affairs Simon Cumbers Media Challenge Award to travel to Ethiopia, and write about Irish Aid there (for the Sunday Tribune). 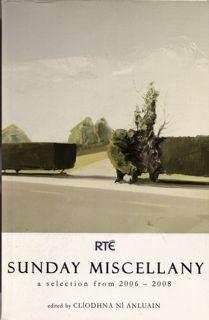 I have contributed to RTE Radio One's Sunday Miscellany, and am included in their 2006 and 2008 anthologies. I'm developing ideas for many projects, and live in Dublin, Ireland.